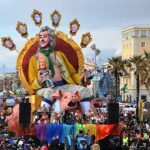 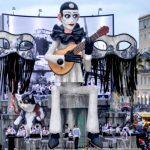 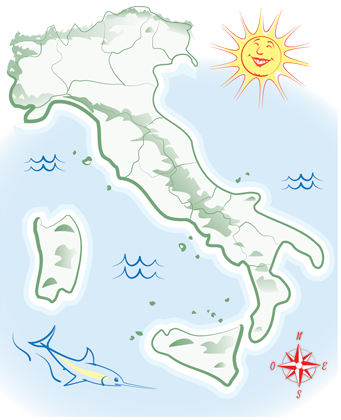 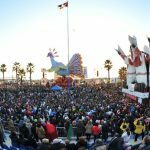 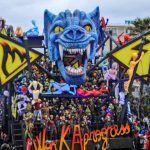 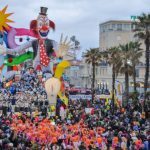 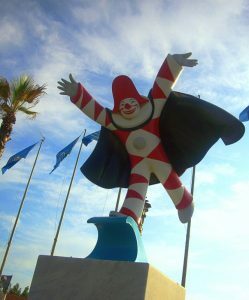 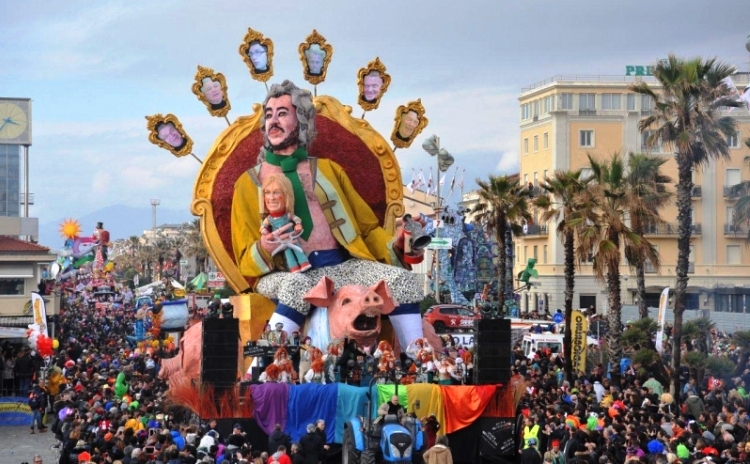 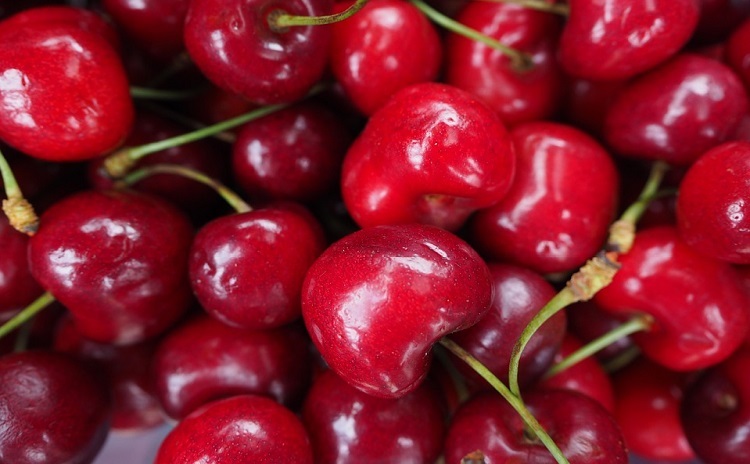 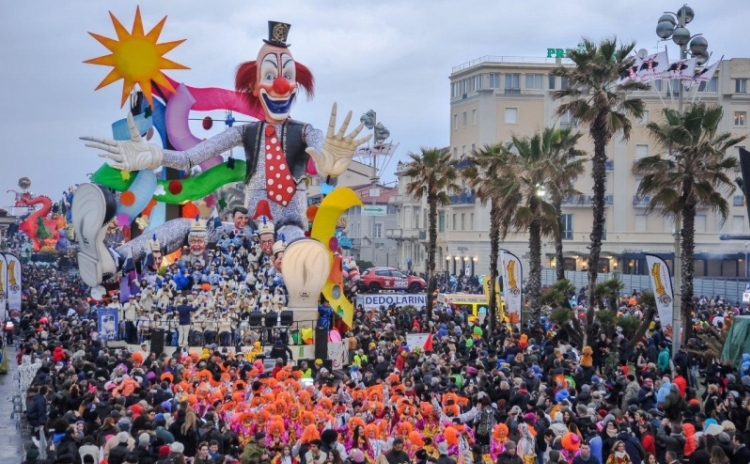 Viareggio Carnival is one of the most important and famous Carnival in Italy and this year it celebrates its 146 years. 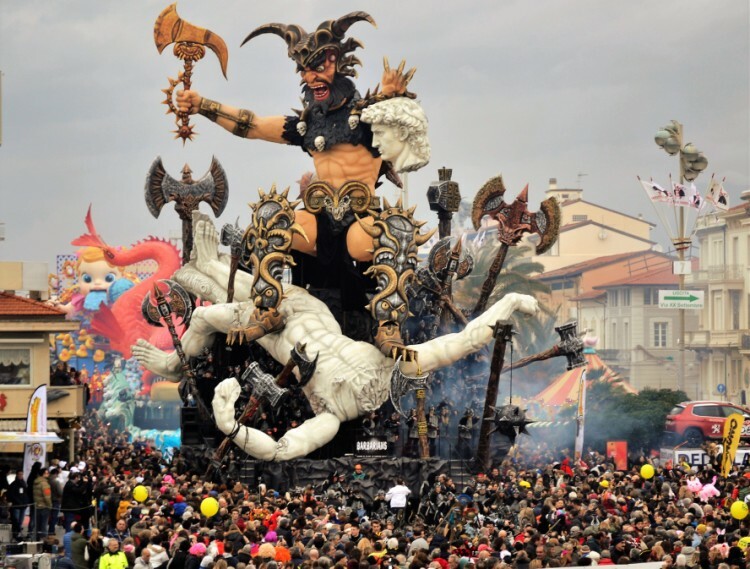 The huge wagons, that have been charming the visitors for years, made famous the papier-mâché artists in the world, who yearly amaze the audience and challenge each other with incredible technical and artistic creations. 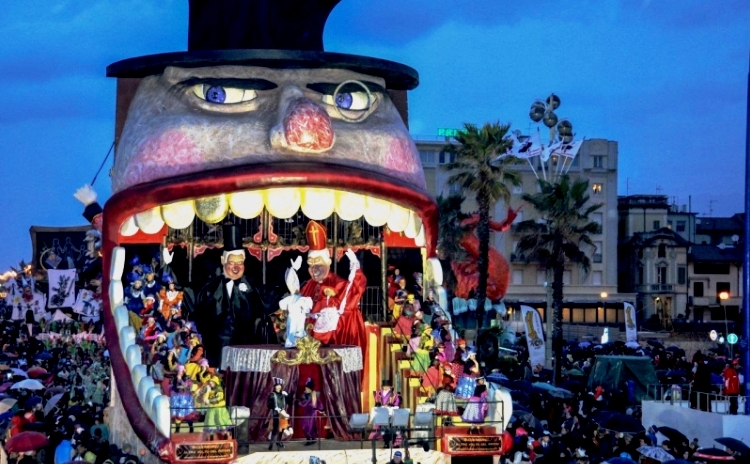 Every parade is composed by a caravan of 14 wagons, 9 dressed up groups and 9 single masks. 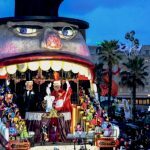 Every wagon is high more than 20 meters and 12 meters wide and more than 250 dressed-up figures dance on the “first class” wagons. 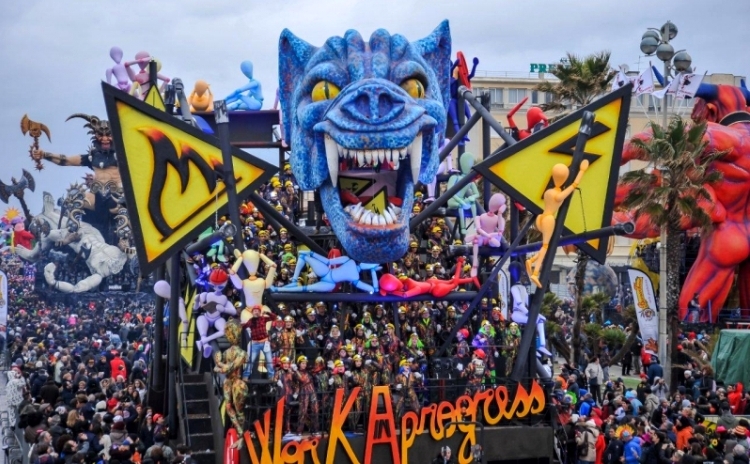 More than 25 craft enterprises and one thousand people are the creators of the wagons. 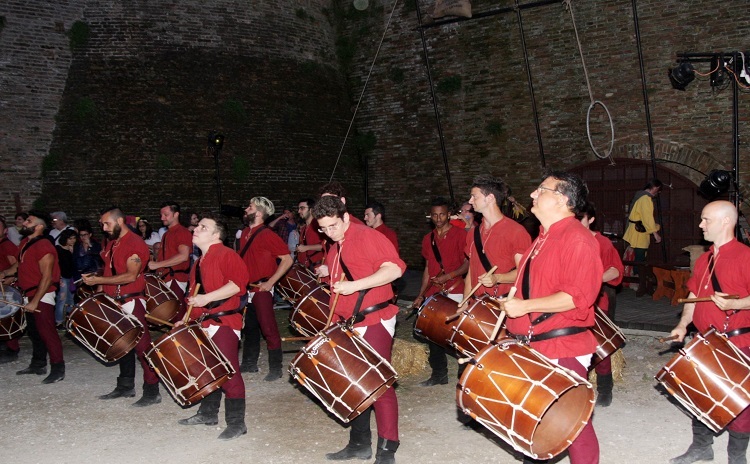 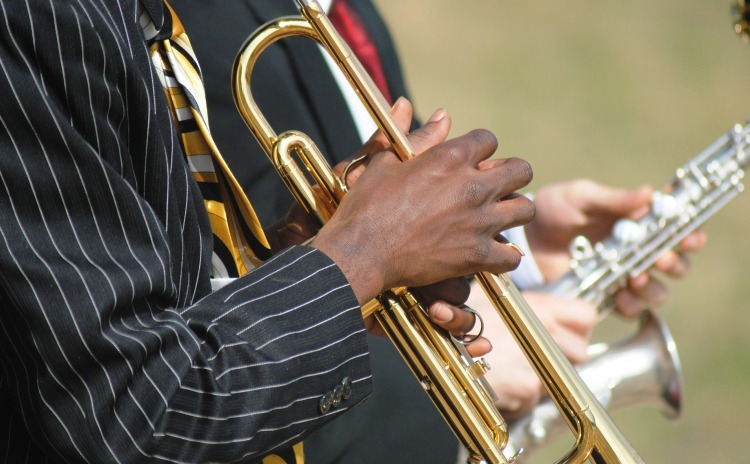 Most of them are sons of art who inherited the secrets and the abilities of the work by their fathers and grandfathers. 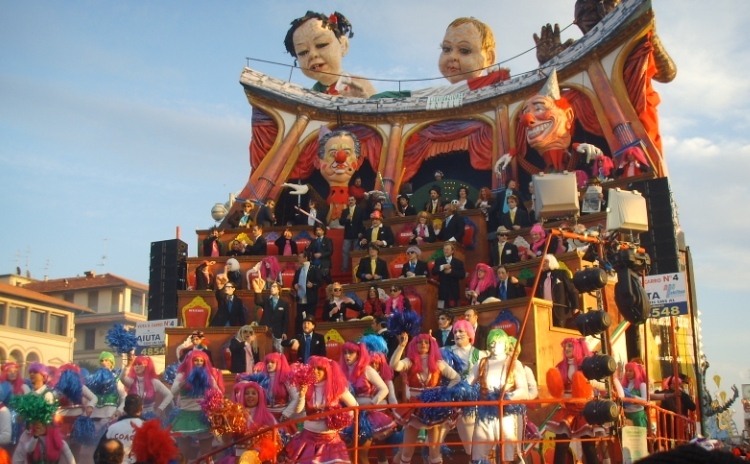 At the end of the Carnival the winners are elected through a merit ranking. 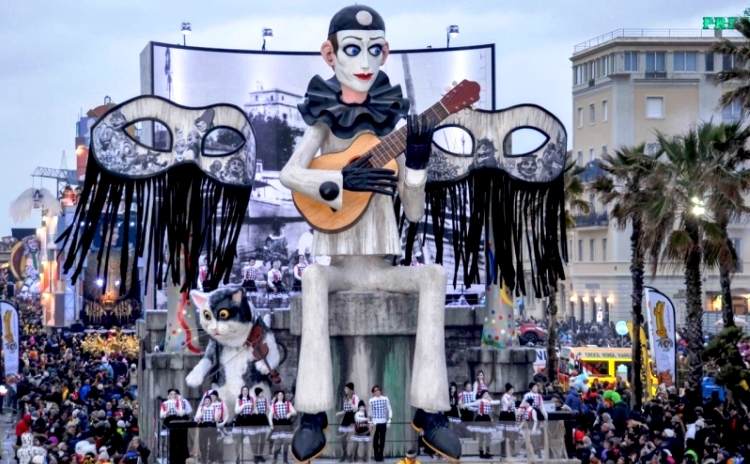 The symbol of Viareggio Carnival is the Burlamacco mask, created by the painter and graphic Uberto Bonetti in 1930. 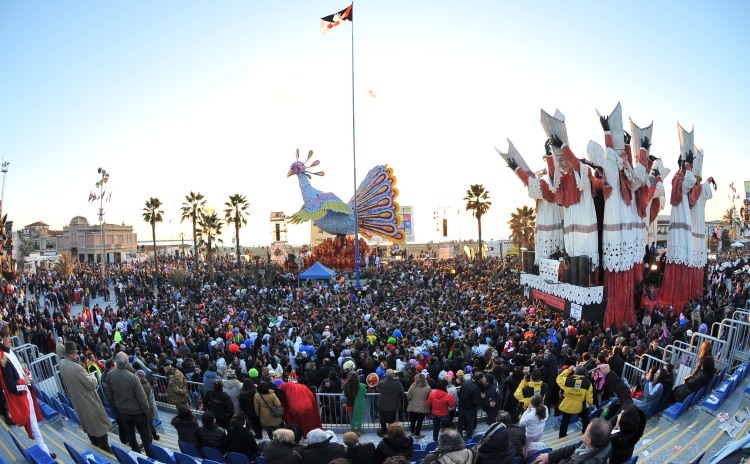 The Burlamacco, inspired by the masks of the Art Comedy, was realized in a futuristic style and it sums up 2 interesting moments of Viareggio: white and red colors represent summer and the colors of the umbrellas at the beach during the 1930’s, and then during winter they became the symbol of the Carnival period.